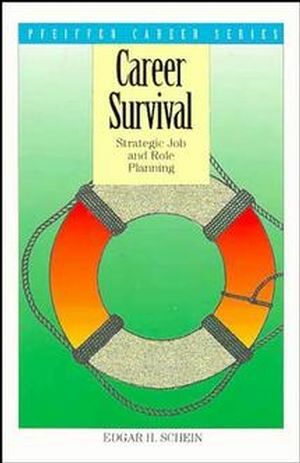 Career Survival shows you how to identify the key elements of an individual's job now and in the future and how to set appropriate priorities. * What does the job currently involve? * How will the job itself change over the next few years? * How will the environment around the job change? * Do these changes require a different person to do the job? Career Survival helps organizations more accurately forecast their needs and helps individual employees effectively structure their priorities and future plans. EDGAR H. SCHEIN is professor of management at the Sloan School of Management, Massachusetts Institute of Technology. One of the founders of the field of organizational development, Schein has authored numerous books and consults with organizations worldwide. He lives in Cambridge, Massachusetts. Strategic Job and Role Planning. Job and Role Analysis and Planning. Step 1: Inventory Current Job and Roles. Step 2: Identify Changes in the Environment. Step 3: Assess Environmental Impacts on Stakeholder Expectations. Step 4: Determine the Impact on Job and Roles. Step 5: Redefine Job Requirements. Step 6: ExtAnd the Strategic Job and Role Planning Activity.